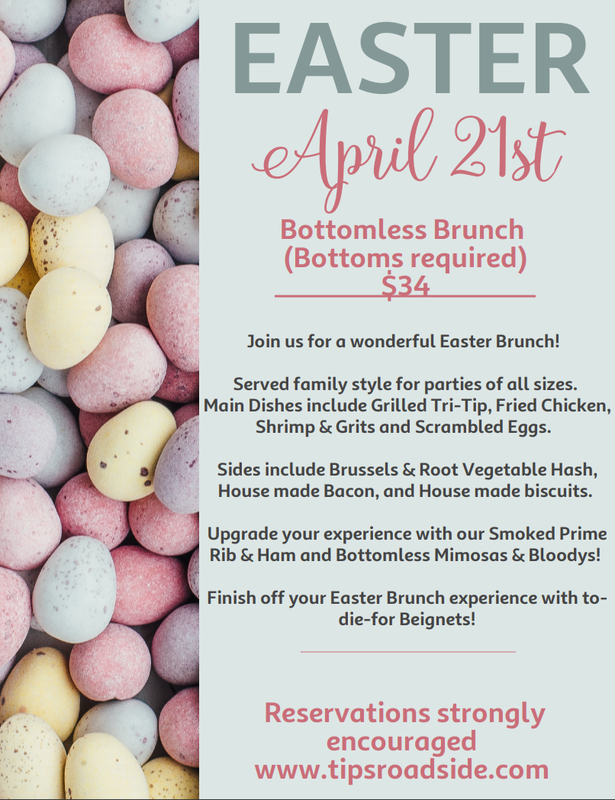 Join us for a wonderful Easter Brunch! 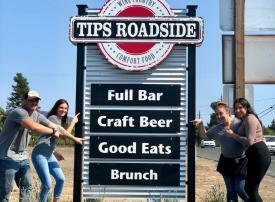 Served family style for parties of all sizes. Grilled Tri-Tip, Fried Chicken, Shrimp & Grits and Scrambled Eggs. 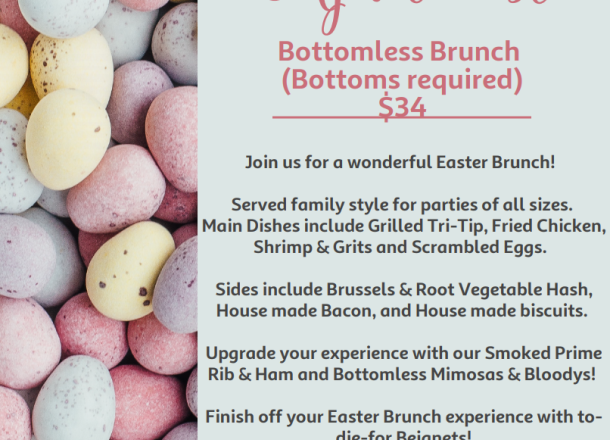 Sides include Brussels & Root Vegetable Hash, House made Bacon, and House made Biscuits. Finish off your Easter Brunch experience with to-die-for Beignets! Juice, Coffee and Tea service is included. Upgrade your experience with our Smoked Prime Rib & Ham and Bottomless Mimosas & Bloodys! Our full bar is open serving our house crafted Beer, local wines and Craft Cocktails, all available for purchase.